A Meriden man was found dead by suicide in the woods, several hours after a fire broke out at his home on Monday morning. The Meriden Police Department confirms that at around 5:30 a.m., fire crews were on the scene of a fire at 45 Side Hill Road. Friends and neighbors of the homeowner tell News 8 that she was coming home from work a little after 5 a.m. when she saw some smoke and then found flames inside of the garage. Firefighters believe that the blaze had started inside of the garage somehow and then extended up into the rest of the home. 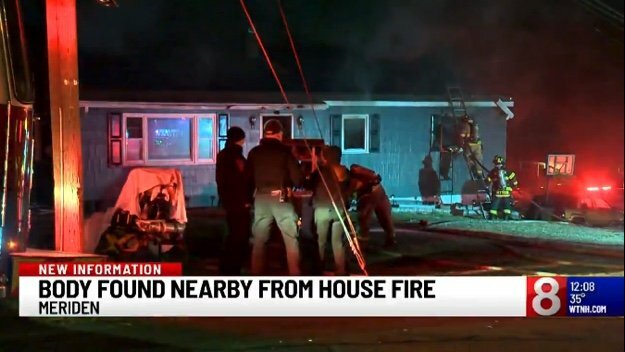 There was speculation earlier that there was someone missing in the house because the homeowner lives with her son who was not on scene. But neighbors say that the son had already left for work when the fire started.